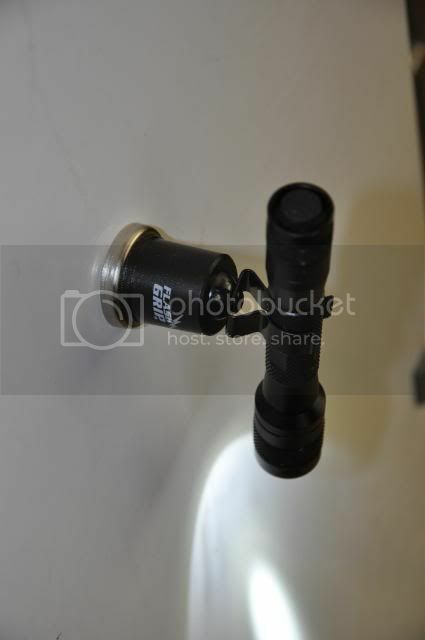 Looking for an easy way to hold a flashlight while working on my car. 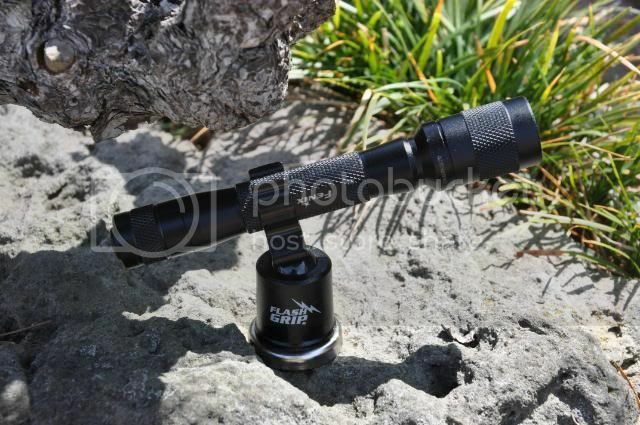 Does anybody know of a clamp or flashlight holder for Larger Flashlights? Hope this helps, let me know if you have any questions. We also ship internationally, if you're not in the US. Been wanting something like this for an AA light. I'm an aircraft mechanic and this solve some issues with aiming the light while working. Placed an order for an AA holder. Right on, KMA! We'll get it out to you ASAP. Cheers. Got the AA Flashlight Grip! I will be using this at work! 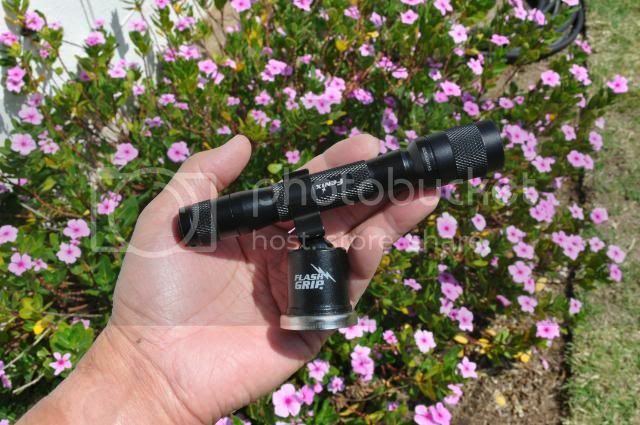 The Flashlight pictured is the one I use at work, It's a Fenix E20. Nice shots. Hope you find your Flash Grip useful while you're working. This looks awesome... Perfect for working on my car. Do you "Solveitstore" have anyway to attach it to wood or plastic. I was just thinking for when I go to the lake I sometimes I have to work on my RV and it is a fiberglass material of some type. If not no worries but just a suggestion that could really be useful. ..
As a matter of fact, we are working on that exact feature. We'll let you know when we have something ready for shipment!